Meet Alexander Kiselev, the 19-year-old immigrant from Moscow who is making experimentation in bioscience cheaper by creating affordable scientific instruments. He was recently announced as one of the Fellows on Peter Thiel’s 20 Under 20 program, which gives some of the world’s talented youngsters an opportunity to move to Silicon Valley for two years with grants of up to $100,000 each, to cover living costs whilst they work on their startups. The Fellows will pursue innovative scientific and technical projects, learn entrepreneurship, and get mentorship from the Foundation’s network of tech entrepreneurs and innovators. The project areas for this class of fellows include biotech, career development, economics and finance, education, energy, information technology, mobility, robotics, and space. To be part of the program many of the teenagers are dropping out of college or passing up their admissions to some of the world’s best universities including MIT, Harvard and Stanford in the hope of accelerating their various projects and launching quickly in the real world. Can the real-world experience of building a startup give you more experience than a university degree? 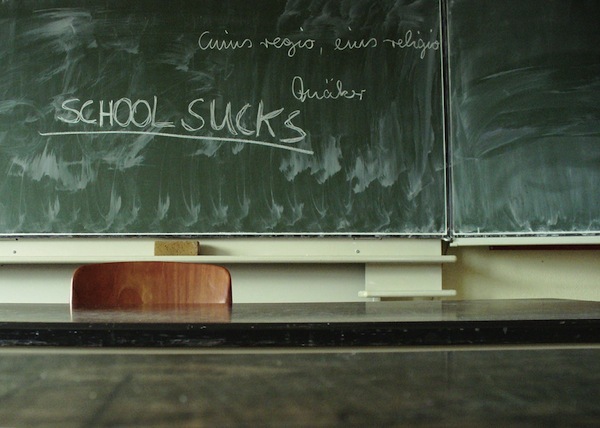 Should kids be encouraged to quit school? I know that I personally learnt more in the last three years in business than my degree taught me in the same amount of time.